This week's Free GM Resource is a bit of a twofer. 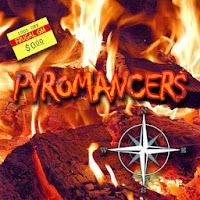 Pyromancers has two online programs that Frugal GMs might find useful for their games. The first is a simple browser-based mapping utility called Dungeon Painter and the second is a rather cool "map" sharing utility called Forum Scene Viewer. The Dungeon Painter creates online maps that can be exported as two different picture files (PNG and JPG) and can be exported as a PDF for printing and assembly as well. They also offer a B&W export option, but I haven't played with that any. One of the cool things about this mapping program is that the resources aren't static. When you build a floor tile, for example, the patterns swirl about some as you expand your flooring so the resulting floor tile isn't an obviously repeating pattern. The program creates layers for your objects and you can manipulate the layers somewhat like you do in Photoshop. Overall think of it as an online version of Dundjinni. The second browser-based program from Pyromancers is basically a way to share a map online, or more specifically to share changes to a map that is already online. It sounds a bit confusing but basically you start with a map online already, like in a forum post. You add links to your tokens and the program creates a custom URL that directs others to your creation of map + tokens. People can make changes, like moving their PC token, and creates a new URL. Basically it is making a static map interactive for online forum or play-by-post games.